Welcome to our Frequently Asked Questions page. We've compiled some key questions and answers about our business that we hope you will find useful, but if you still need to ask us something, please visit our contact page. Why should I order from Amscan? Who can order from Amscan? What sort of party products do you sell? What do the icons mean on product pages? Can I order from this website? Do you provide paper catalogues? Can I be added to your newsletter emailing list? Q. Why should I order from Amscan? 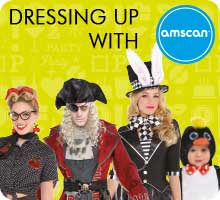 A. Amscan is the world’s leading wholesale party supply company, with over 60 years of experience in the industry. We pride ourselves on offering innovative products combined with expert advice for retailers. This all-inclusive approach means you are able to merchandise our products in the most effective way possible to your customers. We also work to offer you the latest on trend, seasonal and in demand styles. To learn more about the history of Amscan and our family of companies, please visit the About Us page. Q. Who can order from Amscan? A. Amscan sells to wholesalers, distributors and retailers. We do not sell directly to the public, but if you are a member of the public wishing to purchase Amscan products, then you will find them in high street stores and at many online retailers. Q. What sort of party products do you sell? A. It would be far easier to tell you what we don’t sell. We call ourselves The One Stop Party Shop, and with good reason. 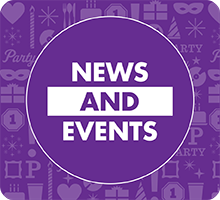 We’ve got fantastic ranges covering any number of seasonal events, from Christmas and Halloween to St. Patrick’s and Valentine’s Day. We also cover numerous life milestones such as birth, marriage, graduation and retirement. With over 12,000 products to choose from, including tableware, Anagram balloons, costumes and a host of decoration styles, you can be sure that no matter the size or type of event, you’ll find the perfect selection of products you need to wow your customers. Q. What licenses do you hold? A. Amscan has secured strong relationships with top licensors, such as Nickelodeon, Disney and Lucasfilm. We are able to offer an extensive range of products including tableware, decorations, balloons and favours, all carefully designed to create perfectly themed celebrations featuring household names such as Justice League, Paw Patrol and Blaze. To learn more, please visit our License page. Q. How can I open a trade account? A. We welcome applications to open a trade account. Please follow this link to fill in our trade account enquiry form. Q. Do you have a minimum order value? A. Yes, for all mainland UK deliveries, minimum order value is £150 + VAT, carriage paid. For carriage rates outside mainland UK addresses, please contact customer service. Q. What do the icons mean on product pages? A. You may see several different icons on product pages. Any products newly added within the last 120 days will have a icon. Any product with a icon has been categorised as a fancy dress item, and subject to terms, will qualify for next day delivery. Balloons carrying the icon feature a Satin Luxe finish. 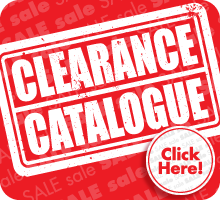 Discounted items can carry a variety of icons, sometimes denoting a specific percentage discount, or a general notification that the item has a discount applied. Q. Can I order from this website? A. Yes, but as a trade website, only registered customers can see their pricing and add products to the basket when logged in. A. All new accounts are dealt with on a pro-forma basis. Payment is accepted via credit card, bank transfer or debit card only. Payment must be received before an order is released to our distribution centre for picking and packing. Q. What are your delivery terms? A. Our standard lead time from receipt of order (pro-forma payment) is 3-5 working days. This may be subject to change due to seasonal factors. Please check with your Amscan representative for confirmation at time of placing order. Dress-up and Dress-up accessories are available on next day delivery. Orders are despatched from Amscan’s Milton Keynes warehouse on a next day delivery service using our nominated courier. Deliveries are made between the hours of 9am to 5pm. Q. Do you provide paper catalogues? A. Yes, we issue 7 catalogues per year: Everyday Party, Balloons, Dress-Up and a Mid-Year release, plus seasonal editions; Spring, Halloween and Christmas. We also produce occasional supplements during the year. Registered customers will automatically receive copies in the post. Additional hard copies can be requested from our Customer Services team. 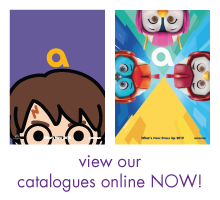 You can also browse all of our current catalogues online. Q. Can I be added to your newsletter emailing list? A. Customers requesting a trade account can opt in to receive our newsletter, or alternatively you can sign up for our newsletter here. You can reach our friendly customer service team by telephone Monday to Friday during office hours, or drop us an email. Click here for our contact details.